Raising awareness and funds to find a cure for Cystic Fibrosis through LEMONADE, spectacular events and unique merchandise! A whimsical evening of celebration supporting Cystic Fibrosis. In 2012, at the age of 4, Cassidy Evans was diagnosed with Cystic Fibrosis and their family made it their mission to find a cure for this horrible disease. In 2013, Cassidy decided she wanted to be a part of the cure and she was inspired to create Cassidy's Lemonade Stand. Even though, she spends hours a day doing treatments and taking medications to keep the awful effects of Cystic Fibrosis at bay, she doesn't let it get her down. 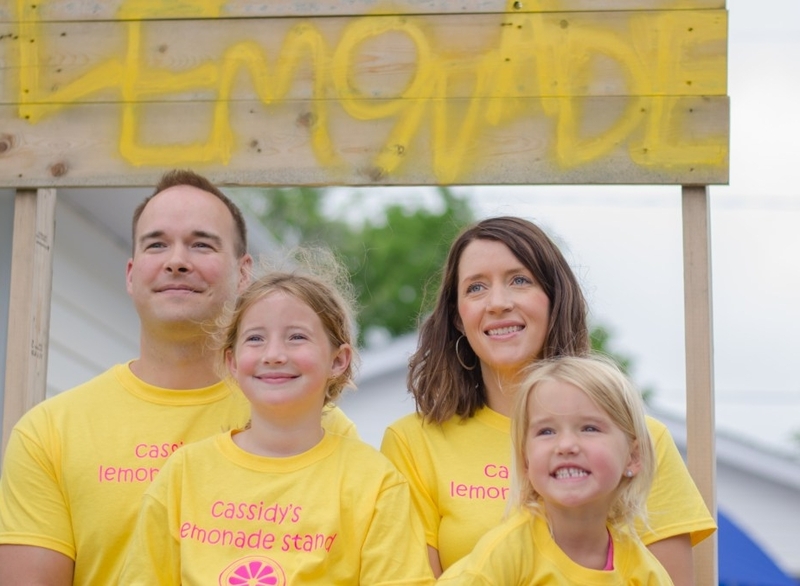 Her zest for life along with the secret family recipe of delicious lemonade has brought thousands of people from far and wide to support Cassidy and to help raise money and awareness....literally turning lemons into lemonade. You can follow their journey on Facebook & Instagram!